Pictured right. Yossel Mashel Slovo (Joe Slovo). Slovo was born in a shtetl in Lithuania and grew up speaking Yiddish and studying the Talmud. He joined the ANC's terrorist wing, the Umkhonto we Sizwe, in 1961 and eventually became its commander. 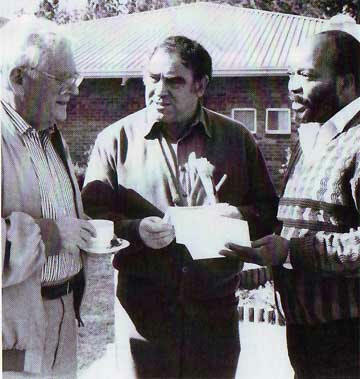 He was named Secretary General of the South African Communist Party in 1986. ("Joe Slovo," Jewish Chronicle, Jan. 13, 1995).